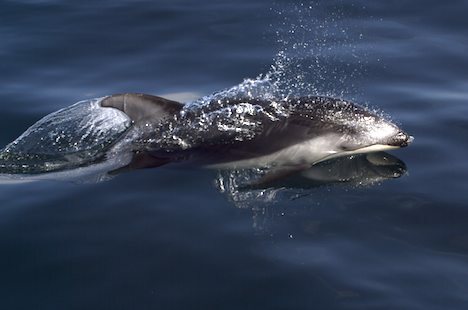 Often nicknamed Lags because of the cumbersome scientific name, Pacific White Sided Dolphins are the most common dolphin seen along the coastline of British Columbia, Canada. Pacific White Sided Dolphins, Lagenorhynchus obliquidens, Northern Vancouver Island, British Columbia, Canada. Picture of a Pacific White Sided Dolphin speeding through the water.